My first long-haul flight ever was flying from New York to Greece. At that time, the longest I had ever been on a plane was 5 hours. The thought of flying for 10 hours to Greece was so crazy to me. But now after taking 4 long-haul flights I feel like I’ve gained experience and can share what I’ve learned. The most important thing when flying for a long time is comfort! If you’re like me and your bank account is not big enough to get one of those lie-flat comfy seats in business or first class, this guide is definitely for you! 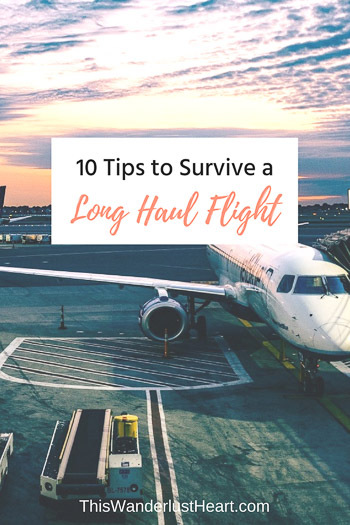 So today I’m sharing with you the best long haul flight tips that will help you survive our flight with your sanity in tact ready to enjoy your final destination! This is by far the most important tip on this list. This alone might make or break your trip. It can make it a comfortable and painless experience or a horrible one. I learned this real quick. When booking my flight to Thailand I had so many airline options to from. I was a bit overwhelmed and my main thought was how to survive a 16 hour flight flight. The airfare ranged from affordable to very expensive. I’m always looking for a great deal so it would’ve been easy to book the cheapest option with the best connection. And that is what I almost did! But I’m also a researcher and love to read reviews on everything. I found Airline Quality which gives you reviews on all the airlines. When I typed in the airline I was considering their rating was a 4 out of 10. Yikes! Poor customer service, old planes, uncomfortable seats, lost luggage. It was bad. While the airfare was super affordable, did I really want to spend 16 hours flying in those conditions? I think not! I ended up doing some more research and finding another airline whose airfare was a little more expensive, but whose reviews were great. It was actually Cathay Pacific and it was the best decision I could’ve made. Friendly flight attendants, pretty good food, and spacious and comfortable seats. Make sure you research all the airlines you are considering. Not all airlines are created equal; in fact, long-haul travel may be where you find the greatest differentiation between airlines. If you can, choose a newer model plane. It will be equipped with up-to-date equipment and amenities. You’ll want to make sure that it has in-seat power outlets. Believe it or not but many airplanes still don’t have power sources at the seats. This means your phone is probably going to die before you land and you’ll be forced to listen to in-flight music. Speaking of seats, that’s the next thing you should focus on. Picking the right seat is equally as important. Now I’m normally a window seat person, but the thought of being stuck in a window seat for 16 hours straight (flight from JFK to Hong Kong) gave me anxiety! 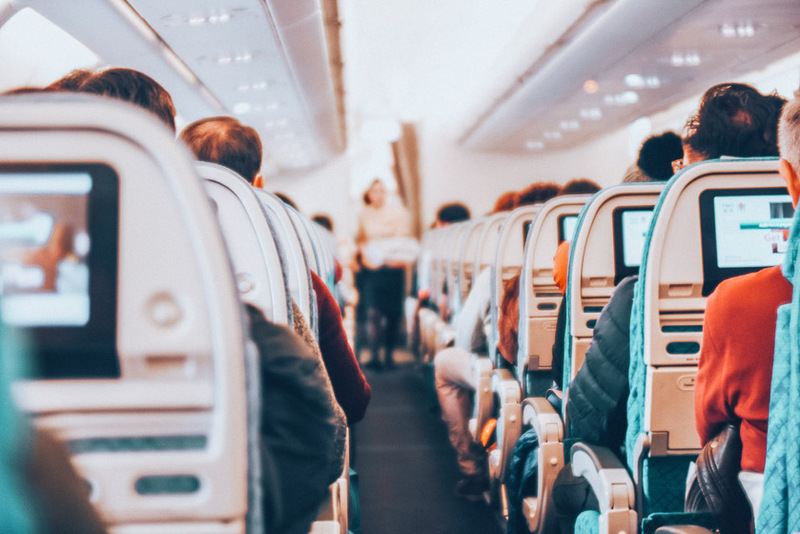 The aisle seat is the best way to survive a long-haul flight because you will have the luxury of being able to stand frequently and stretch your legs and make frequent bathroom visits without disturbing your seatmates. You can go to SeatGuru which has airline seat maps and a comfort rating system. You can plug in your flight number and it shows you the layout of your plane. Not only can you see what seats you can choose in your cabin, there are also reviews from previous passengers. They let you know things like if a seat is uncomfortable, a seat does not recline, or if the seat does not have overhead space. I found this super helpful. Picking a seat that is not too close to the bathrooms or galley helps so much if you do not want to be disturbed. You can also consider an exit row which gives you more leg room. Whether you like a window or aisle seat, do yourself a favor and really plan ahead for this part. I promise you that it’s worth it. Choosing the right airline and the right seat will make your trip so much more pleasant. 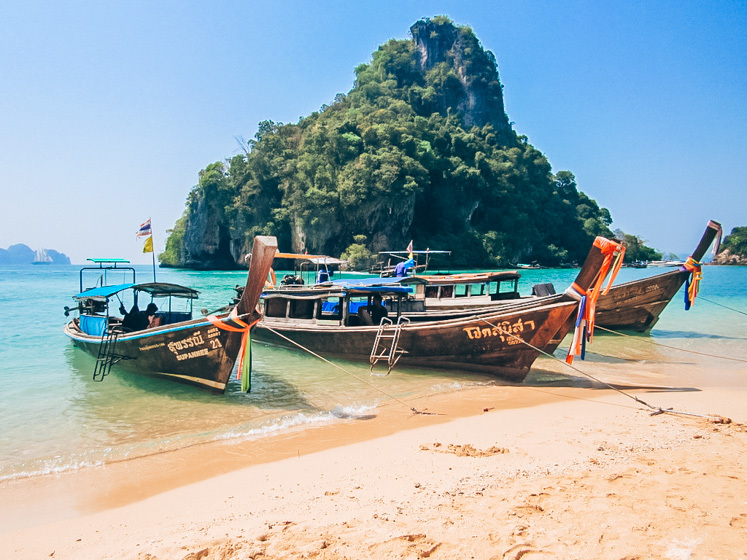 Needing help finding a cheap price your next flight? I recommend using Airfarewatchdog to search and compare flight deals. We all know that airplane food is a hit or miss. Actually, it’s mostly a miss if we’re being honest. It can be so unpredictable and that’s why it’s important to bring your own supply of snacks. The worst thing that can happen is being hungry on a long-haul flight- which you can avoid with this tip. You’ve probably read some articles that tell you not to eat anything salty or high in carbs. Well forget them! I say bring all your favorite snacks. Just make sure you have variety. I personally like my snack repertoire to cover all bases: salty and sweet! But even more importantly, I like my stash to be nutritious enough to keep me satisfied. Make sure to pack food that’s good at room temperature. Remember not to bring any items that contain any liquids (fruit cups in juice or pudding) as you may not be able to bring it through security. 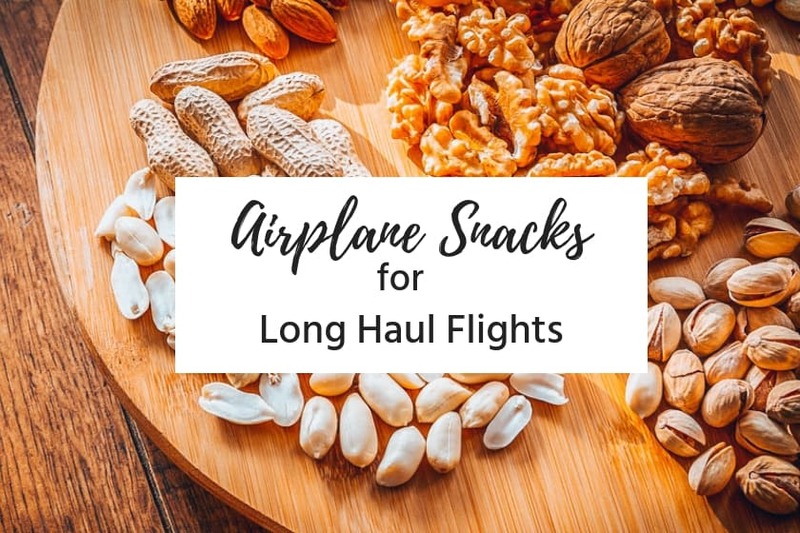 If you need some ideas of what to bring with you, check out these 6 delicious snacks that are perfect for your next long-haul flight. What you wear on your flight is so vital. Dressing in layers is key because you can easily adapt to the plane’s temperature. I like dressing in layers since you can never know what the temperature will be like. Plus, you are traveling for hours, so my guess is, the climate in the location you are traveling to will be different than the one you left. 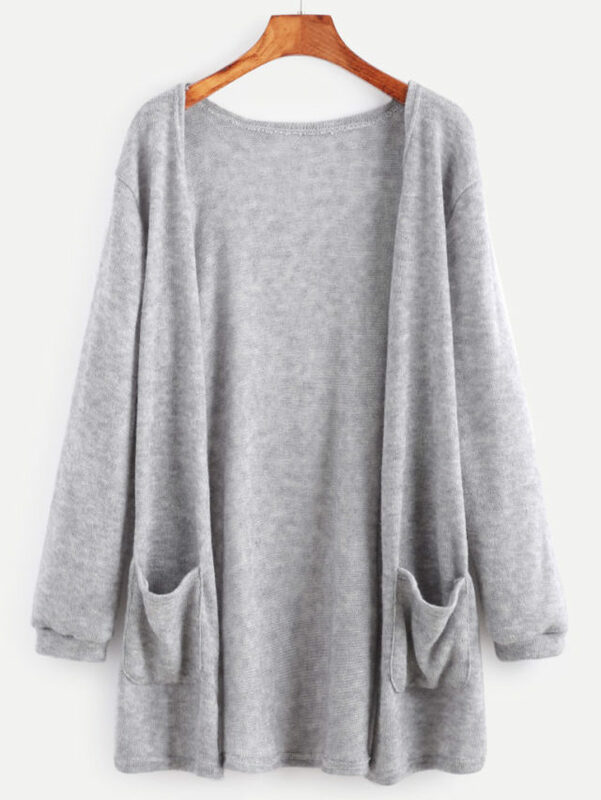 The best long haul travel outfit to me is leggings, loose-fitting long sleeve t-shirt, a cardigan, and a scarf that I can also use as a blanket if it gets really cold. Layers! I also like to wear shoes you can slip on and off easily, for long haul flight comfort and ease at the security line. Also, when you’re getting up to go to the bathroom or just walk around, you’ll want something you can easily slip your feet into and go. Last but not least, make sure have a pair of compression socks. Long hours on a plane can cause pressure, swelling, and poor circulation. These socks help increase circulation and reduce the risk of swelling or worse deep vein thrombosis (DVT) and clotting on a long flight. Here’s my go-to comfortable outfit for a long flight. I remember that on my flight to Greece I had to practically beg the flight attendant to refill my cup with water (awful airline). I didn’t have my own water bottle. Big flying rookie mistake and after that, I said never again! Long flights dehydrate you a lot. If you step off of a plane and feel like crap, it’s not because you’re sick, but probably because you’re dehydrated. Not drinking enough water can make you feel fatigued, nauseous, and give you a headache. Airplanes are the perfect environment for draining you of all moisture. So staying hydrated is one of the best ways to prevent jet lag. I now bring with me a large water bottle like this insulated steel one– fill it up after going through security and nicely ask the flight attendants during the flight to refill it. Bringing a good moisturizer is so important too. Your skin will also need the love. This Clinque moisturizer is my favorite. Hydration is everything! 5. 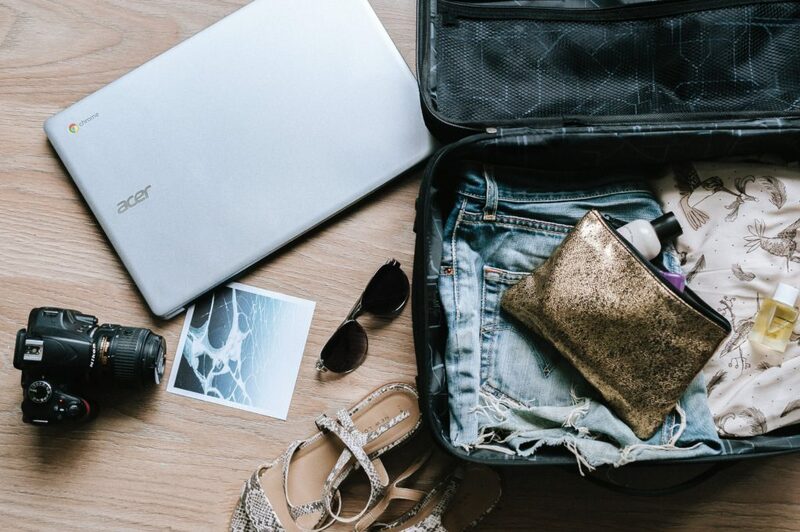 Make sure to pack long flight travel essentials in your carry-on. There’s nothing like getting on a long flight and realizing that you either forgot something or that you packed it in your checked luggage. Imagine you forgot to include your headphones in your carry-on and you now have to listen to a crying baby for 8 hours?! Ugh I’d die! Being well prepared and having all your long flight essentials in your carry-on is crucial to be able to survive a long-haul flight. For my trip to Thailand, I bought a backpack for all my essentials and kept it under the seat in front of me. That way I had easy access to it and did not have to get up and reach for the overhead every time I needed something. It was also cool to use the backpack as a footrest! Here are some of the items I suggest bringing with you. Click on the links to check out the products I use and recommend. The list could go on but these are the things that I like to have near me. 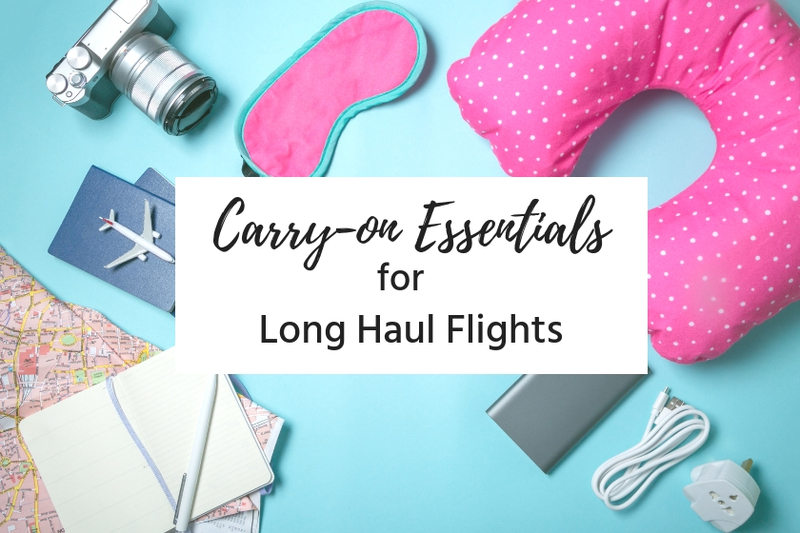 Check out my post Carry-on Essentials for Long Haul Flights to learn more. 6. Set your watch to your destination time as soon as possible. Syncing yourself with your destination time zone helps tremendously in preparing your body to adjust to the time zone of wherever you’re going to. I like to change the time on my phone as soon as I board the plane. Once you see what time it is at your destination, try to stay awake when it’s daytime there and get some sleep when it’s nighttime. Let’s be honest, trying to sleep in economy can be downright difficult, but it’s still possible with some help. The trick is to try to get as comfortable as possible. This is where the dressing comfortably, your blanket, eye mask, and neck pillow will come in handy. I use the airline provided pillow as a lower back support and my own neck pillow to cradle my head. Chamomile tea actually proved quite helpful in making me sleepy on my long-haul flight. And if all fails then medicate yourself! With something over-the-counter of course! Sleep aids can help both during the flight and with jetlag when you arrive at your destination. If you are planning to use sleep aids (including melatonin, or prescription drugs such as Ambien), make sure you try them before you fly. These drugs can vary greatly in how they affect people, so you will want to try them at home before you rely on them on the plane. 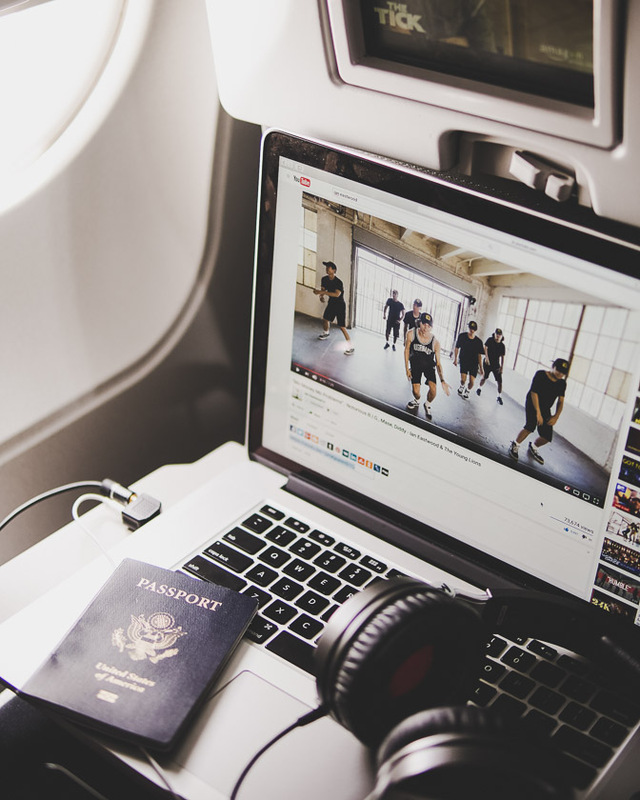 There’s only so much tv binging you can do on a long-haul flight before starting to feel a little restless. On my 10 hour flight home from Greece I watched 3 movies in a row and then started to feel all antsy. I didn’t want to watch any more movies and needed something else to do. You might probably feel the same way. So before you go crazy, make sure you have things to keep you entertained. Bring your tablets or e-readers and download your favorite movies, tv shows, podcasts, or anything else that will keep you sane. A magazine is also a good thing to bring if you want to take a break from staring at a screen. 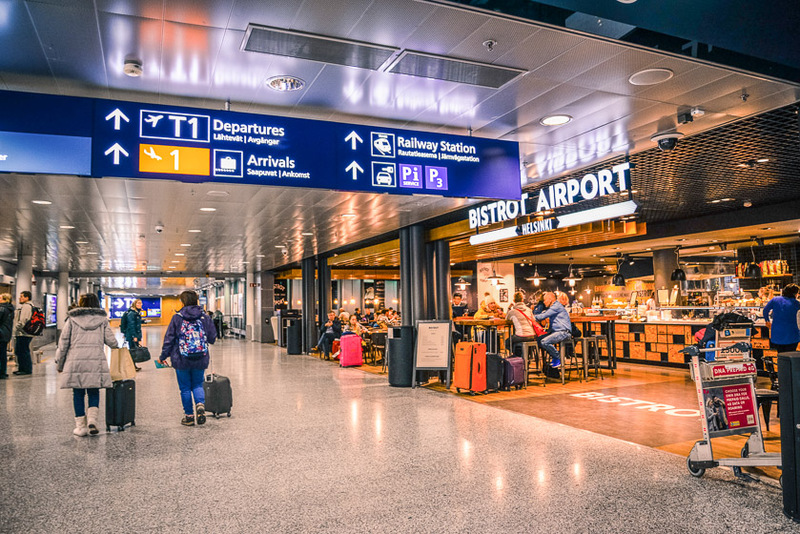 If you have a long layover it’s a great idea to familiarize yourself with the airport that will be your home for several hours. What kind of food do they have? What shops do they have? What times are they open? Do they have lounges that accept economy or business passengers? These are all good things to know. You might be thinking “well I can just explore these things while I’m there”, but it’s always best to do your research before arriving and know where to find what you will need – sleeping pods, lounges, food courts, baggage storage facilities, entertainment areas if any! You can find all this information on the airport website. I thought that you had to be a first class, business class or elite member in order to use the amenities at airport lounges. But after reading up on the on the Hong Kong airport, where I had a 4-hour layover, I found out there was a lounge that was available to all passengers for a fee. I was able to eat and relax in a super comfy lounger my entire time there! Another thing to check is to see if the airport has free layover tours. Some airlines even offer to sponsor your visas so you can tour the city. 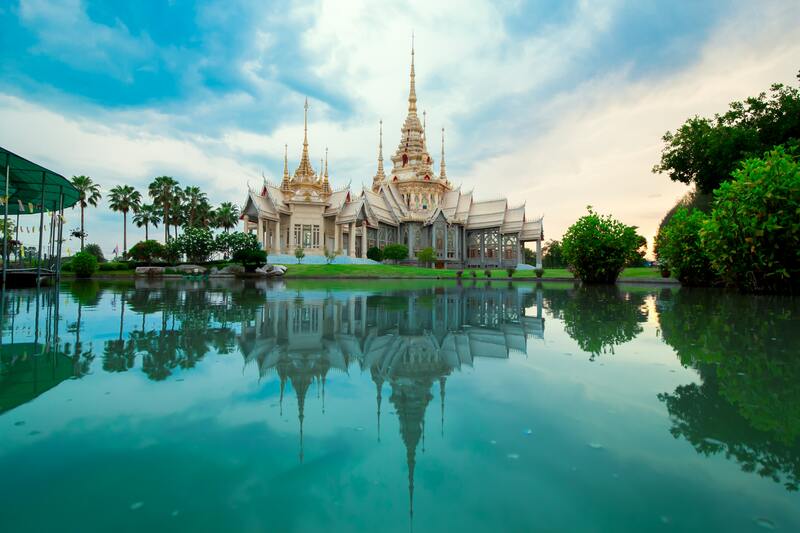 A number of the airports which offer layover city tours are Singapore, Taiwan, Seoul Korea and Doha – ask the concierge and they should know what you can do with your time there. I’ll actually be taking advantage of this in October where I’ll be in Doha for a layover from Bali. Let’s face it, not all of us have thousands of dollars to spend on upgrading to business class or first class. Shoot I can’t even afford premium economy! But if you can afford an upgrade, it will make a world of difference in your flight experience. If you can’t there are some other things you can try. While getting a free upgrade to a different cabin is a long shot, you might be able to get a seat with more leg room. I have found it’s worth reaching out to the airline on their social media. I’ve had good experiences contacting them on Twitter. They’re usually so helpful. You can also try when you’re at the airport. If the flight is not full, the gate agent may be able to move you to a seat with more legroom like an exit row. This is seriously the best thing that can happen to help you survive a long-haul flight. Suggested Reading: Do you need inspiration for your next trip? Be sure to check out my other posts Top 5 Things to Do in Mykonos Greece, The Ultimate Miami Travel Guide and Why Need to Visit Hong Island in Thailand. Did you find these long flight travel tips helpful? 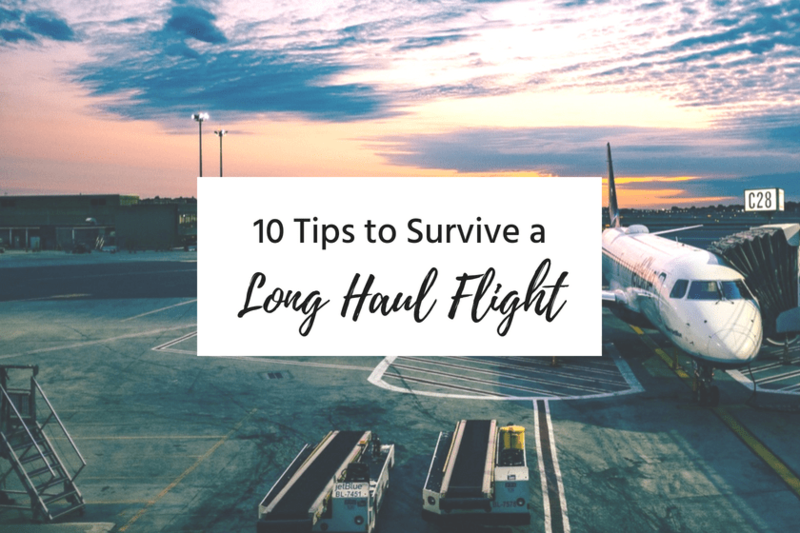 Let me know down in the comments if you have your own tips to survive a long-haul international flight! Which I fill with grapes, GF crackers, cheese, almonds etc. I carry a reusable insulated bottle which I can fill after going through security. The water on the plane is not thought to be fresh. I also bring tea bags with me such as peppermint tea which not only is refreshing but can help with any stomach problems I might have on the plane. I never wear makeup on the plane but I do bring a face spray usually a very light sent such as lavender and moisturiser. Those little free sample moisturisers that you get from makeup depts are great for this. I put all of this in a small backpack which I put under the seat in front of me. Of course all of this is for long haul flights. Thanks for the helpful tips! Such a thorough and helpful article. I don’t have noise cancelling headphones, but I swear by good earplugs and an eye mask (like you mentioned). Somehow it helps me sleep and feel less drained after a long flight! This is a great post. It would fit perfectly as a link in one of my posts about what to pack in your carryon for a long flight. I would love to use this, if ok with you. My email is below, let me know. I will send the link for your review. Hi Jenny, That is perfectly fine with me! Thanks! These are such great tips! I can’t survive on trips without my water bottle, so I don’t know how other people do it. This is such a thoughtful guide! Even after a couple 50+ hour travel days (yeah, wow) I always seem to end up winging it when it comes to prep. Definitely gonna keep some of these in mind next time I have a long flight– especially the point about reaching out to ask for a seat change over social media. These are all really great tips – especially the bring your own water bottle tip. I’m a Window gal myself, I don’t think I could survive a long haul flight without being on the window. Staying hydrated and having your entertainment is certainly key. Great tips. Great tips! I’ve never used seat guru before but I’m totally going to try it out for my next long-haul flight. Also, totally agree with the hydration part. I just lost my Swell water bottle on my last flight so I need to get a new one. It’s so important! I’ve never heard of Seat Guru – what a great tip! My biggest advice for long flights is bring a variety of things to do. For me, that includes a laptop for work, podcasts, a book, a magazine, and headphones to watch movies. When you get bored with one thing you want to have backups! This post is awesome! I love all of your tips, especially #3 haha! It’s soo important to be comfy during a flight this long. I also prefer having the window seat but it has its pros and cons for sure! I hate flying and always get so stressed when going on a new trip. I enjoyed reading your tips, will try to follow them next time when being in the air and hopefully will get a different experience. Such a great list! I think Advil PM or ZZquil are my absolute must haves for long flights!! Those neck pillows though are also the best because then my head isn’t constantly collapsing forward! 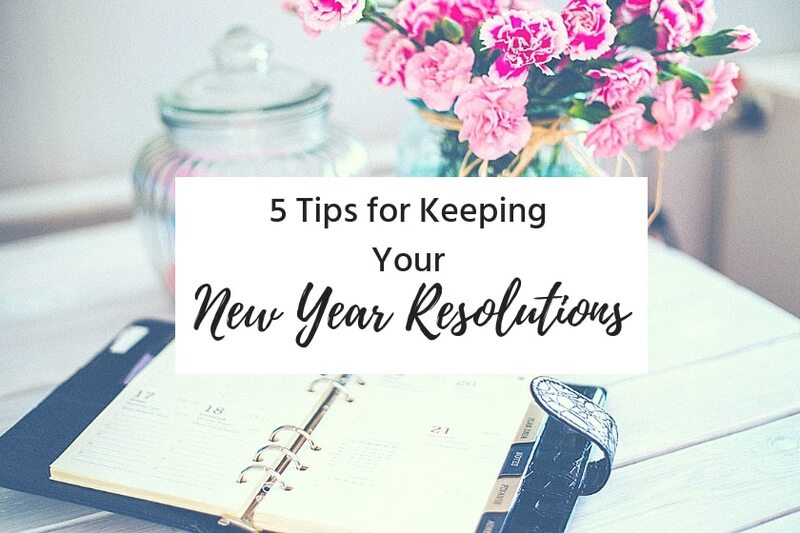 Such a great post with very helpful tips. Many people overlook the changing your watch/phone to the destination time as soon as you can. I find it helpful to get my mind to think in the new time zone, which helps with jet lag upon arrival. Typically, as soon as I sit down on the plane, I make the change. Water is ultra important! 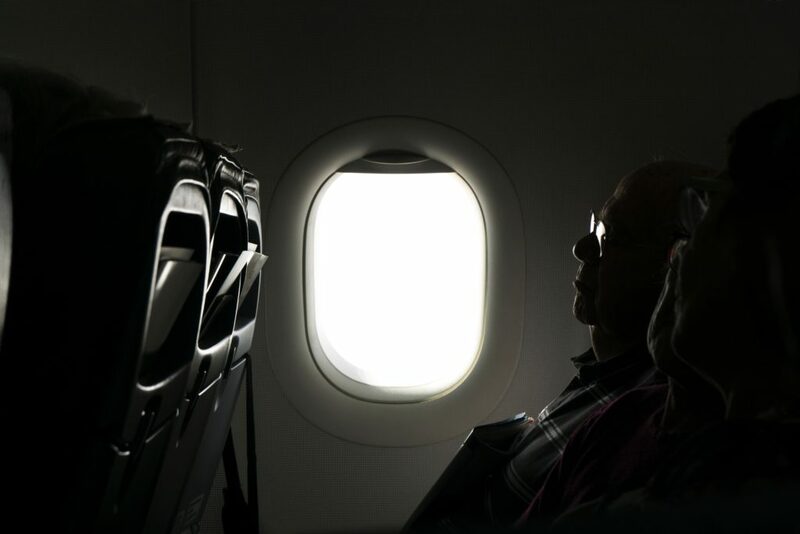 And the one thing about sitting on the aisle to consider – if you plan on sleeping, aisle may be a pain as others in your row will wake you up so they can get to the bathroom. Awesome! Hope they are helpful! Yesss!! I couldn’t agree more – all of your advice is so spot-on. Another thing I’ll add (that I learned from personal experience lol): in-flight wifi! My first long flight from LAX to Shanghai, China I hadn’t purchased wifi. 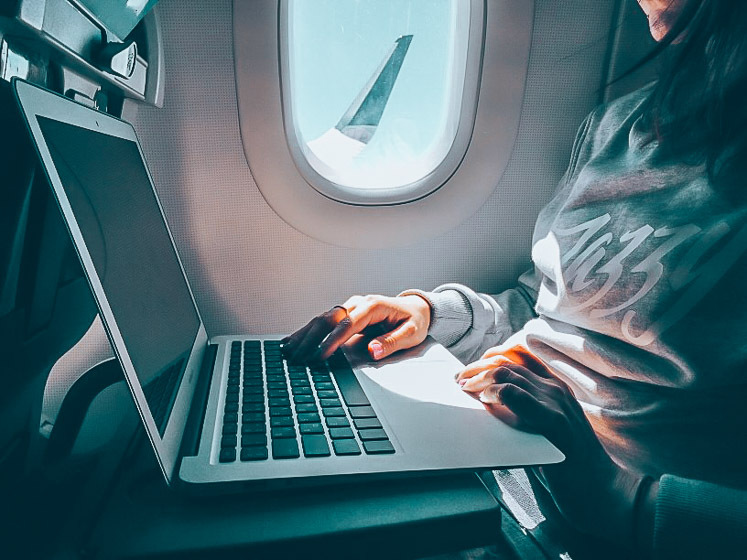 Not that I need to be connected to the internet 24/7, but let’s just say it was a super boring 14-hour flight and having an internet connection would have been a great option to have. You’re so right Rylie! It definitely makes such a long flight better knowing that you can connect with the world. I found that some flights did have wifi and some didn’t so I guess it depends on the airline! Thank you so much for reading and glad you enjoyed it. Miss you more! Awesome tips! 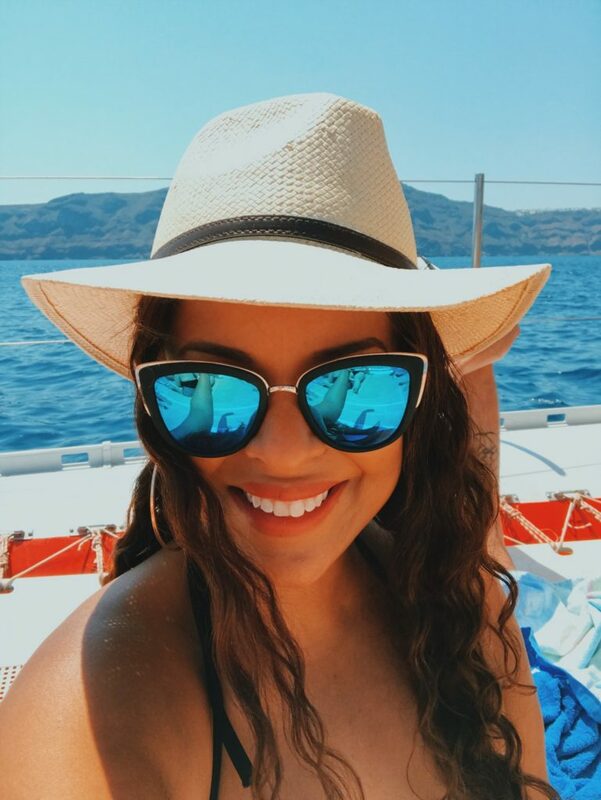 As much as I love to travel I realized that I never had a Pinterest board to organize all the good tips for traveling….that is until now! Lol great read and I love your point of view. These are awesome tips! I’ve yet to take a long plane ride but when I do these will come in handy! Your blog is amazing btw! I unfortunately can’t manage to sleep on a plane but I’ll keep the other tips in mind for my next long haul flight! Oh geez thank you for sharing your tips. I haven’t had a long-haul flight in so long, but these are good to remember especially now that I’m a mom. It’s always good to see content that educates and makes people more aware on how to ease travel experience! Very useful tips! Thank you for sharing. Super helpful! Aisle seats are the best on long haul flights. And I always bring mouthwash with me. Super important! Thanks for reading! These are some great tips! I actually booked a window seat my first time flying long haul but got moved to an aisle seat and couldnt be happier with that. Its so awful if you need the loo and the people next to you are asleep so you cant get out! OMG Amy that is the best thing that could have happened to you! I love window seats on short flights, but being stuck in a window seat on a long flight and having sleeping people next to you that you don’t want to disturb is the worst! Thanks for reading! Clearly a very helpful article. Though I do follow some of these, I did find a lot many suggestions that would make those long shuttles comfortable. Great write up. These are great tips! I will add from a traveling with young kids point of view that the airline and layover airports are really important! For instance, Korean Air provides special, larger seats with baby bassinets attached for those traveling with infants, which is so helpful. We also only stopover in airports that have indoor play areas to help the kids run around and let some steam off. It makes a huge difference when we are flying internationally! So glad you found them helpful! Thanks for reading! These are all great tips! That’s my exact same outfit, too! I also bring essential oils! Really? That’s a great idea which ones do you bring? There are a lot of great tips. I’m starting to remember to take the aisle seat although I really love window seats. I don’t like to move a lot while on planes but everything I read says that you should move around and stretch to keep your blood moving. I guess keeping hydrated will help too. Like I said, I hate moving around or getting up even to go to the bathroom but since I want to travel more in the future I guess it’s better to take care of myself now. Thanks for the link on noise cancelling as well. I’ve been looking for some that don’t coat an arm and a leg. Hey Josh! I love the window seat too! I love looking out the window and resting against the window to sleep. But on long flights it’s soooo different! Glad you liked the noise canceling headphones! I use them and they are great and affordable. Thanks for reading!!! Love it! I especially forget about familiarizing yourself with the airport and that they’ll sponsor your visa if you wish to head outside of the airport. I usually book flights that don’t have long layovers but I maybe I should. 😉 Thanks for the great tips! Hey Andy! Yes it’s so cool that the Doha airport offers free tours and many others sponsor your visa. I just found that out this year! Thank you for reading! These are so gonna work for me when i take my first long flight! I really hope they do! Thanks for reading Sofia! Thank you for sharing. I ALWAYS wear leggings or an oversized shirt when I fly–especially a long flight. I don’t want to feel constricted in jeans or tight shirts. I have two kids so I need to be as comfortable as possible. Totally agree with you Jennifer! I did not add this to the list but I also try to wear a sports bra just to be extra comfy! haha! Those are the most helpful tips for long flights. I always have a tough time to get some sleep in the flights – long or short. 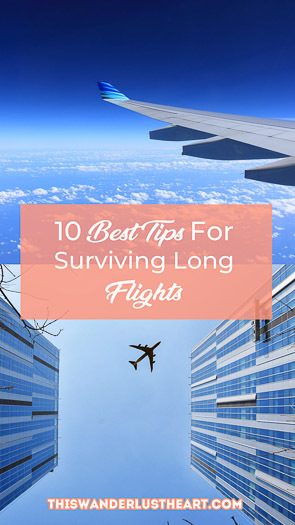 These tips are helpful to survive the flight in positive spirits! Hey there! I am so glad you found them helpful! I have a hard time sleeping on planes too! So awesome to hear that you enjoyed the post. I love lists too! Safe travels! Very helpful and insightful thank you for sharing. Thank you for reading Katy! Actually, all are useful tips here must be needed to follow while flying. To me selecting the right airlines and seat is the first priority as well. And yes, hydration is everything. I love making the best use of the layover time and overall, try to enjoy every moment. You are so right Nafisa. Even if you ignore everything else- at least pick a good airline and the best seat for you. I fly almost weekly for work and have gotten really good at the short haul flights. We also do the Loooong haul from Canada to Australia every 2 years. I can tell you the preparation for the two styles are a little different but share elements of what you suggested above. The number one thing is Hydrate Hydrate Hydrate. I could not agree more with that point! Hey Anthony! I totally agree that you can use some of these tips on short flights too. You definitely need to make sure you hydrate regardless of how long the flight is. Thank you reading! Definitely agree with getting familiar with your layover airport, but the back up entertainment is the one for me. Any chance to squeeze in an entire season of Madmen and I’m in! Haha you are so right on that Cheryl! I hear Madmen is a great show. I can watch ALL the seasons of The Office a million times! I definitely need to be more organised on long-haul flights! I end up being so uncomfortable, but that could be sorted by just taking the time to prepare ha! Preparation is key! haha Thanks for reading Zara! Wow…great tips and quite useful. all great suggestions! I found out the hard way on a layover that most of the food in Bogota’s airport is outside of security… I’ll be looking at that ahead of time now! Oh no! I’ve never seen that! At least you’ll be more prepared next time! Thanks for reading! These are super great tips and such great information! Thank you so much! Thank you Lori for reading! I’m glad you found them helpful! I hear that Emirates is a really great airline! These are great tips! I tend to use budget airlines, but I usually regret it on long flights. I had one that wouldn’t even give drinks for a 7+ hour flight, so if you didn’t bring your own water, you were forced to buy some! OMG that sounds horrible! Sounds a little similar to my experience with Alitalia where they gave you such cups of water that you could drink in one gulp! I also choose budget airlines when traveling domestically but not for long flights! I need this. Just in time! Great tips! Thanks for sharing ♥️ ♥️ Hope you can check out our Instagram Auditor at Phlanx.com, where it helps you check your Instagram account for fake followers and likes! We are about to take a 10 flight from Detroit to Paris and I am thinking about all the advice that you’ve given. I usually wear my Doc Marten boots on the plane—to keep from having to pack them in my suitcase—but after reading your advice, I may decide on a different shoe choice! Thanks for sharing your wisdom! Hey there! I totally get why you wear them so you can save space in your luggage, but I definitely feel like you’d enjoy wearing something more comfortable! Have a great trip! I love the tips. At the moment I use another one -just short trips! Hey Danish! I’m so glad you found this post just before your trip! I totally agree with what you said. Even though airlines now have hundreds and hundreds of movies and shows, sometimes it’s hard to find something you love. Good luck on getting an upgrade! Great idea about setting your time to destination right away. Thanks for the tips! I’m flying SFO to SIN next month. It’s a 16 hr 40 min flight. I can only imagine how exhausted I’ll be. Wow incredibly long! I did a 16-hour flight too but if you follow these tips it shouldn’t be too bad at all! Have a great trip! Great tips. The airline makes such a difference! I always take snacks and water with me onboard too! haha that’s so funny! It’s really so easy to forget stuff that’s why I find it helpful to make it a list. Thanks! I live in Madagascar so am constantly stuck on long haul flights. Every tip helps make the flight a little bit easier! Ahh so this post was perfect for you! I fly from Scotland to Melbourne in two weeks so these tips are so fab, definitely going to use these!! Hey Lauren! Perfect timing! I hope you have a great trip! These are great tips! You can find so much info about specific planes and seats and it does make a difference! I hate to layover, but having a plan and looking at the airport layout is a great tip! So very true! There’s so much info nowadays at our fingertips! Thanks for reading! Hi Yana! Yes! It’s so easy to forget something! Thanks for tips. I hate long haul flights!!! Anything to make it a little smoother is always appreciated! Being Australian it’s always long haul flights for me. I have been on way too many. I always pre-order vegetarian meals and most of the time they are edible. That’s a great idea Sharon! I totally forgot that airlines allow you to pre-order your meal! Such great tips! Long haul flights are always so hard! Pinned it for later! Thanks for pinning Andrea! Hope the tips are useful! These are awesome. One of my personal faves is to wear a hoody when I fly, helps block out the light and noise so I can Catch up on some Zzzzzzzs. Yes, these tips are helpful. Also, I find that if I sit on the same side of the bed I sleep, I can sleep better on the plane. Let me clarify, it sounds confusing. If I usually sleep on the right side of the bed, I make sure to book a seat on the right side of the plane. It might not make sense to others but it works for me. Hi Debbie! That makes total sense! Thanks for the tip I’ll have to see if that works for me! Hey Eva! Glad you found these tips helpful! Never experienced long haul flights before but your tips are great. I would say the same for short haul flights especially when your airline is low cost. I’m glad you found these tips helpful. You’re right that a lot of these apply to shorter flights. Good point!